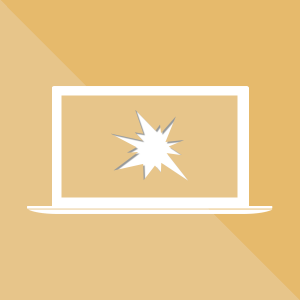 Laptop Screens can get damaged all too easily – pressing too hard on the screen, shutting the lid a little too vigorously or just closing the lid with the power lead resting on the keyboard. ISCAdigital can have a new screen fitted promptly so you can be back up and running in no time! Broken the screen on your laptop? Damage like this can make it difficult – at best – to use your laptop, but you might in some cases be tempted to use it as-is. Maybe only part of the screen is damaged and you can work around it. Or you just plug it into an external monitor and use that. It could even be you have a few lines on the screen you barely even register anymore. Yes, you should get it fixed! For an average screen we typically charge a total of £99 including parts, labour, and VAT. This means you can take your laptop out and about and use it without worrying about lugging around an extra monitor or having people wonder what on earth happened. The procedure varies from laptop to laptop; in some cases it’s some screws and a bit of prying, in others it may require a full disassembly of the laptop. By charging a flat rate for the labour we simplify costs so we can tell you exactly what it will be before you commit to anything. Screens may cost more for better quality ones – a 1080p screen may increase the price from £10 up to £100, or even more for touch screens. If you have a touch screen that’s not behaving itself, you may wish to consider disabling the touch screen if you don’t use it that much. This can be done in Device Manager, or if you don’t know what to do, feel free to come in and we’ll help!